Henry Cavill who portrays the current movie iteration of Superman took to his Instagram page to share a piece of promotional art from the upcoming Justice League movie. As a part of a Make A Wish campaign, Cavill appeared as the Man-of-Steel in full costume to make the days of two children , Orin and Summers. He also used this opportunity to share new promotional artwork of the film’s six heroes that will form the team in the upcoming movie. On top of making two kids extremely happy he dropped a heart-felt message which can be seen on the post underneath. Not only is he a Man-of-Steel he also has a heart of gold (yes, i went there). 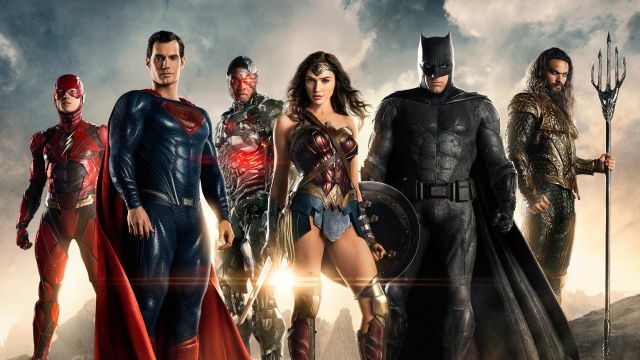 The upcoming Justice league movie will also have , Batman (Ben Affleck) , Wonder Woman (Gal Gadot) , Aquaman (Jason Momoa), The Flash (Ezra Miller) and Cyborg (Ray Fisher) as our heroes. Justice League is set for a November 17 ,2017 release.